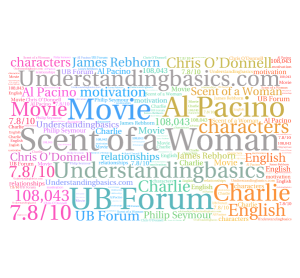 Movie Review: Scent of a Woman This movie has.. This movie has touched the very heights of acting especially Al Pacino. In this movie, a college boy has to babysit a old blind man (Al Pacino) who is a retired army colonel. Al Pacino played the role of a grumpy old man but who grows on you as you get a chance to know him. As the daughter of Al Pacino lefts for holidays leaving his father (Al Pacino) with Charlie, Al Pacino packs his bags and leaves for his own journey taking Charlie with him. On this voyage Charlie learns many things about the colonel which no one knows and the colonel advices Charlie in his personal problems at school. This movie has much suspense moment which were beautifully filmed. I believe this movie is one of Al Pacino best movie and definitely worth watching. This movie (Scent of a Woman) has a great line of characters. Each character is given due time for the audience to get indulged in or associate themselves with the characters of the movie. The characters needs, motivation, relationships and desires were beautifully created and the credit goes to the writer for putting a tremendous effort in revealing the right amount of information about the characters. The whole movie had a lovely pace. The story build up by the writer was carefully executed by the director and there was no sense of hurry in between the scenes. The movie progressed beautifully and revolves around Al Pacino that how he makes choices in his life. The movie casted great actors like Al Pacino, Chris O’Donnell, James Rebhorn and Philip Seymour Hoffman. The director gave a lot of emphasis on the performance of the actors and we could see the effort put by actors for an excellent performance. The dialogues of this movie were beautifully delivered and when actors were playing their parts one totally forget about real life and goes deep in the movie. The movie was perfectly cinematographed, giving the movie a feel of reality and the environment created throughout the movie was absolutely perfect and relevant with the characters desires and background. In my opinion, this is one of the best movies and everyone who once saw this movie desired to have a look at it again. This movie was meeting all the needs of a viewer like good acting, good directing, great dialogues, and amazing environment. This movie is rated 7.8/10 given by more than 108,043 viewers. 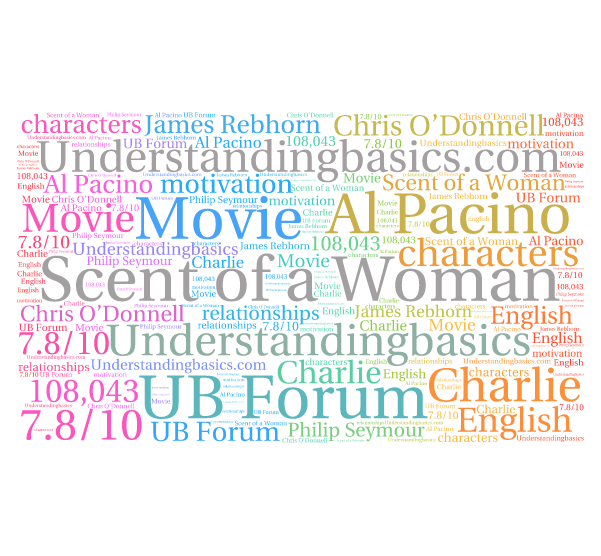 “The Scent of a Woman (1992) – Your Rating.” The Internet Movie Database (IMDb). Web. 12 December. 2012. <http://www.imdb.com/title/tt0105323/ >.